We are now looking for human resources to expand and develop our nationwide business in April, 2019. We are now looking for human resources to expand and develop our nationwide business in January, 2019. We are now looking for human resources to expand and develop our nationwide business in August, 2018. We are now looking for human resources to expand and develop our nationwide business in July, 2018. We are now looking for human resources to expand and develop our nationwide business. Bivid Pharma Co., Ltd. is the exclusive distributor for pharmaceutical products, plasma derivatives, dental products and medical equipment from leading German and European corporations. We are now looking for human resources to expand and develop our nationwide business. 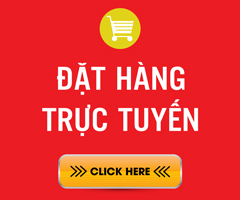 Binh Viet Duc is one of large pharmaceutical companies in Vietnam. We are now looking for human resources to expand and develop our nationwide business. BINH VIET DUC LLC (founded 2005) represent major European pharmaceutical corporation. We are recruiting medical representative for business expansion with following requirements.